Circus Animal Train Discounts Apply ! 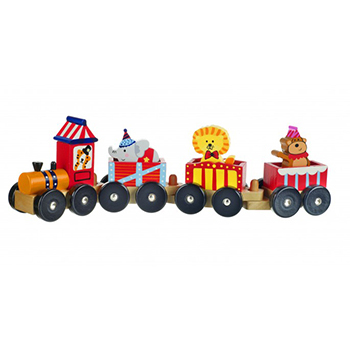 Run away with the circus with this beautiful wooden Circus Animal Train. The toy train pulls along three carriages, full of all our favourite characters from the Vintage Circus range. Children will have hours of fun taking these animals on endless adventures!